Proposed Regulation of FBOs & Instructors Would "Kill Aviation in California"
The outrage over California's bizarre attempt to enact ponderous and unwarranted new regs on the flight instruction industry continues... The Society of Aviation and Flight Educators (SAFE) has submitted a letter to various officials in the State of California in opposition to Assembly Bill 48 (AB 48). The bill would impose burdensome and overly costly regulations on FBOs and independent flight instructors, treating them the same as post-secondary institutions. Not only has SAFE taken a stand on the issue, but many individual SAFE members in California have also mobilized in an effort to stop a bill that many believe will cause serious damage to California's flight training industry. The Society of Aviation and Flight Educators (SAFE) is an international organization formed to facilitate the professional development of aviation educators, as well as create a safer aviation environment. By providing quality educational materials and other resources, we seek a reduction in aviation accidents, increased professionalism among aviation educators, and lifelong learning by everyone involved in aviation. We seek to make aviation education a viable career goal. SAFE is therefore very concerned that the reauthorization of the California Assembly Bill 48, designed to monitor the quality of post-secondary institutions and protect students from losing pre-paid tuition when a school closes down, will have dire consequences for California flight training facilities. The reauthorization includes the repeal of exemptions for flight training facilities, which will cause potentially serious difficulties for Fixed Base Operators, flight schools and independent flight instructors. If the exemption is removed all flight training facilities from Part 141 flight schools to independent instructors will have to be certified and will have to operate as though they are post-secondary institutions such as colleges or technical schools. It is understood that AB 48 was intended to regulate private colleges and technical schools not flight instruction which covers a wide range of providers and whose curricula are already regulated by the FAA. It has been reported that if independent instructors wanted to continue instructing under the new rules they would be subject to additional qualifications before they can teach in California even though they are certified by the FAA. All instructors would also be subject to academic reviews that are designed for colleges and universities. In addition to the yearly academic reviews, periodic fees would be assessed on each flight instructor including $2.50 per $1,000 which would go toward a state fund that would pay claims to students if their "flight school" closed its doors after they had paid their "tuition" in advance. Each instructor would be charged an initial application fee of $5,000 and a $3,500 renewal fee every three years. If instructors have a second location an additional fee of $1,000 would be assessed. Finally, they would be required to pay an operation fee of three-quarters of a percent of their income (not to exceed $25,000 annually). If we might point out, it is highly unlikely that any of the free-lance instructors in California accept pre-payment for their instruction. Further, calling a free- lance instructor "a flight school" or post secondary institution is as ridiculous as referring to a free-lance Spanish tutor as "a school." If flight schools, Fixed Base Operators, and independent flight instructors are no longer to be exempt from the requirements of AB 48, it is likely that many, already in a precarious financial condition, would elect to curtail their flight instruction. This would have a severe impact upon flight safety in California, as it is these very instructors that provide the vast majority of recurrent safety training to California pilots. 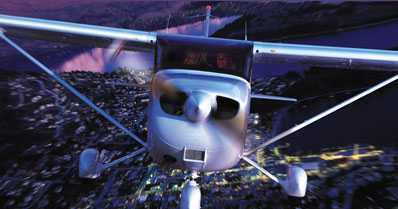 It is also these same instructors that provide virtually all of the initial training received by pilots in California. Since many pilots come to California not only from across the entire United States, but from many foreign countries as well, not only would the flight instruction industry suffer, but all the ancillary businesses (hotels, restaurants, etc.) would lose business as well. As a professional association concerned with aviation education and safety, SAFE believes that if exemptions for flight training facilities are not reinstated in the bill it would make it difficult, if not impossible, for flight training providers to continue to make a viable contribution to California's reputation as a state that welcomes and supports aviation education. Representatives from SAFE will be present along with other pro-aviation organizations at hearings held on AB 48 in Sacramento, later today, June 7th.